NYC, 02/27/2019, 11:30AM. Turbo (2013): Animated sports comedy. 96 min. Director: David Soren. Starring Ryan Reynolds, Paul Giamatti, Maya Rudolph. 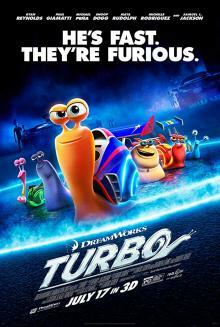 Turbo grossed $83,028,128 in North America and $199,542,554 in other countries for a worldwide total of $282,570,682.